Over the last 45 years, Jim Ritchie has been the Founder or Principal of multiple business adventures, including serving as Senior V.P. for Franklin Quest (now Franklin Covey). 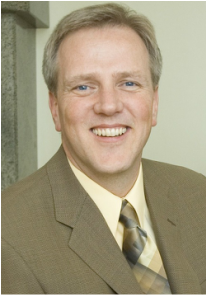 He is a member of BYU President’s Leadership Council for both Provo and Hawaii, a member of the National Advisory Committee (NAC) for the Marriott School of Business, and has served as an adjunct professor at Provo. 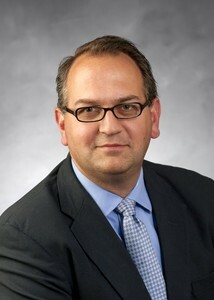 He has also served as a Board member and NAC advisor to Southern Virginia University. ​Ritchie and wife Carolyn Orton have spent over 20 years serving full time in Church service on four continents, which has included serving as Bishop, Stake President in Simi Valley, Mission President in Roanoke, Missionary Training Center President in Ghana, Institute Director in New Zealand, CES Area Director in Africa, Regional Representative in the Provo Region, Director of the Willes Center at BYU-H and most recently as the YSA Specialists for the Washington DC South Mission. ​The Ritchies have eight children and forty grandchildren. He is also the Principal Founder of the Ritchie Enterprises LLC which began in the late ‘60s’. 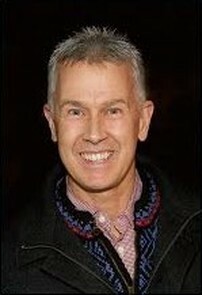 Of more recent vintage is The Ritchie Group of which he is the Gray Hair of the Group. 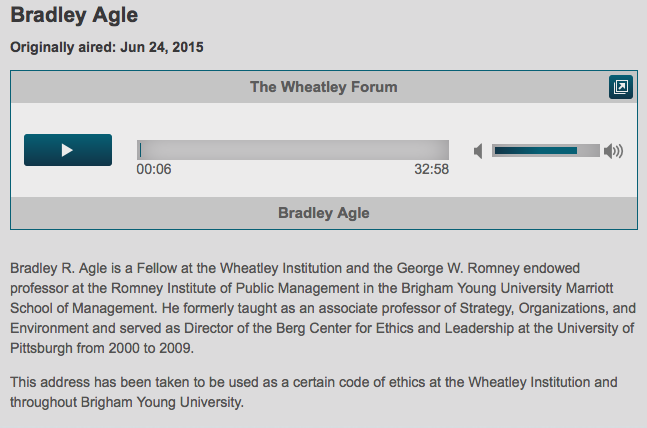 ​Brad Agle is currently the George W. Romney Professor at Brigham Young University, teaching ethics courses at the Romney Institute of Public Management. At Brigham Young, he serves on the MBA Committee and as the Council Chair of the Ethics Committee at the Wheatley Institution. He is also a member of the Ethics Committee for USA Synchro. ​A top-rated and award-winning teacher and researcher, Dr. Agle teaches courses in business ethics and strategic leadership and has taught in Brazil, China, Britain, the Czech Republic, and Slovakia. His teaching brought the University of Pittsburgh the distinction of being the #2 ranked executive MBA program in the world in business ethics by Business Week. In the undergraduate area, Dr. Agle created the Certificate Program in Leadership and Ethics, the world's first integrated undergraduate specialty in ethical leadership in business. His work has been featured in various media outlets including the Wall Street Journal, Washington Post, USA Today, and CNN, and he has been a guest on CNBC's "Morning Call", "Power Lunch", and "Closing Bell". After several years as a Fortune 500 executive, Kevin now focuses on developing startups and teaching business at the UVU Woodbury School of Business. Kevin recently co-found Jaseboards North Shore Hawaii, PassportXpress and RealChoice. He currently teaches strategy, lean operations and project management at UVU, assists MBAs with career development, and is an adviser for the UVU Enactus team. 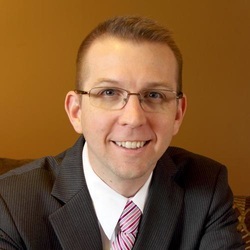 Kevin helps both Fortune 500 companies and startups in commercialization strategy, business development, supply chain & procurement, outsourcing, logistics, and lean-six sigma projects. He is particularly focused on developing businesses that benefit students and have a positive social impact. When Kevin established a new Supply Chain program as a professor at BYUH, he co-found Jaseboards to help diversify the local economy on the North Shore of Oahu, while teaching his students valuable skills. Jaseboards is now a successful global brand. Startup PassportXpress helps Universities save money while helping perpetuate the development of social entrepreneurship in university Enactus students. Startup RealChoice had its commercialization and initial business model developed with students. All of these businesses provide engaged learning opportunities to develop valuable skills and experience in students while investing in social entrepreneur activities that benefit our community. As the CPO for Varian Inc., Kevin was responsible for establishing the vision, strategy and transformation of Varian’s value chains in Shanghai, Singapore, Australia, Italy, Netherlands, UK, Indonesia, Malaysia,and the US. In 2010, Varian was acquired by rival Agilent. Previously, Kevin was the Global Strategic Sourcing Manager at Intel Corporation, and Global Source's GM of New Business Development. Kevin has directly lived and worked in over 20 countries. He spent nearly 20 yrs in Asia and is fluent in Korean and Mandarin Chinese. Allen has over 35 years of experience living in and conducting business in Asia, including experience in every APAC nation, in particular Mainland China, Hong Kong, Taiwan and Mongolia. Allen brings a wealth of experience to every transaction on which he works. 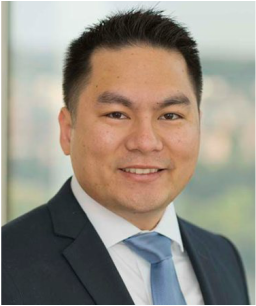 As a former Managing Director with Sun Hung Kai Properties Direct Investments Ltd. and with PAMA Group, Allen is deeply experienced with the private equity world in Asia. ​Most recently, Allen was Managing Director of the Hong Kong office of Portfolio Advisors, a prominent private equity fund of funds manager and financial advisory firm. He continues as a senior advisor for that firm. He has served on the board of directors for a significant number of private and public companies in the USA (NYSE and NASDAQ), Hong Kong, China, Thailand, Singapore, and Korea. Allen began his career with six years at General Mills and twelve years with Continental Grain Company, including a CEO role for their Asian industrial businesses. As a result, he has particular expertise in agricultural products, sourcing and distribution. He has served as a manager, director, and / or investor in over thirty companies across many industries in China since 1981. ​Allen has a bachelor’s degree with majors in Accounting and Chinese from Brigham Young University and an MBA from the Harvard Business School. He has served as a Bishop, District President, Area Seventy, member of the Asia Area Presidency, and Mongolia Mission President. Allen served a mission in Taiwan in 1971-72 and is a fluent Mandarin speaker. He resides in Hong Kong. As a founding committee member and chairperson for the past 3 years, Carrie's energy and vision has been instrumental in helping to grow the A.S.I.A. Women's Conference from it's simple, grass roots beginning, into a large, successful annual conference with approximately 300 sisters attending from over 19 countries in the Asia region and beyond. Associated Sisters in Asia (A.S.I.A) Women's Conference is an annual event where LDS women and their friends throughout the Asia region gather to hear and share uplifting messages, attend inspiring and educational presentations, and participate in service. Carrie's passionate leadership and concern for people shine through as she leads a committee with members spread across the region. ​Carrie is a mother of 6 children who likes to keep busy. In addition to the conference, she serves as President and Assistant Director of the International Community Choir in Taipei, as a Seminary teacher and as Scout Committee Chairman. Carrie has a degree in Family Resource Management from the University of Alberta. She and her family have lived in Taiwan and China for most of the past 27 years. Carrie and her husband Ross have 6 children, 3 of whom are still at home with them in Taipei. Spencer graduated from National Taipei University of Technology with a major in Mechanical Engineering. He worked for a few years as Mold designer until his father encouraged him to start his own business. In 1992 he founded CHINA FINEBLANKING using a government loan and the mortgage of his father’s land. Starting with only 5 employees, their company has grown to over is over 900 employees with factories in Taiwan, Malaysia and China. Their capital is now about NT$460 million. In Jan of 2012 he began the process of taking his company public. His goal is to becoming the largest supplier of delicate pressed components in Asia. Brenda Post Frandsen was born and raised in East Haven, Connecticut. She graduated from Duke University in 1967 with a BA in psychology, but chose to pursue a career in computers. She was the first female programmer/systems analyst ever hired by the Burroughs Corporation (Unisys), a competitor of IBM. She joined the Church in 1968 and married her husband, Phil, the following year. After their marriage, Brenda continued to work for Burroughs full time, and later as a part time consultant. ​Brenda and Phil were the ultimate “entrepreneurs”, creating and selling over 13 businesses before zeroing in on creating software for independent insurance agents. They eventually developed the premier automation product for that group, selling out to their biggest competitor in 1994. They were able to “retire” before turning 50, investing most of their profits into Arizona commercial real estate. In 1997, Brenda was diagnosed with fibromyalgia, a painful debilitating disease. During her search for a cure, she founded the Fibromyalgia Recovery Group in 2002, and has served as the executive director and webmaster of the group’s website (www.fibromyalgiarecovery.com) ever since then. 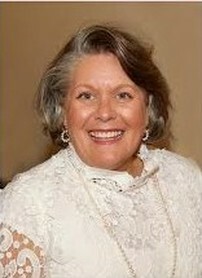 She and her group hosted the first International Fibromyalgia Symposium in 2004, attended by over 350 medical professionals and patients from around the world. Brenda is now in complete remission from that disease. Sister Frandsen has served four missions for the Church. 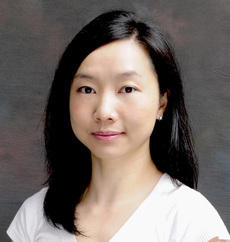 She and her husband, Phil, served as the Mission Office couple in Kaohsiung (2008-2009), as Taiwan Public Affairs Missionaries (2010-2011), and as Asia Area Media Missionaries (2012-2013). Sister Frandsen also served a 2 year ICS Service Mission assigned to the Asia Area, specializing in SharePoint development. The Asia Area SharePoint site collection developed by Sister Frandsen now has over 260 team sites, and is the largest SharePoint site collection in the Church. Currently, Elder and Sister Frandsen are serving their fifth mission as temple workers in the Taiwan Taipei Temple. Highly technical and senior sales representative with experience in the Architecture, Design, and Construction Industry. Supporting Manufacturers of design and building materials. Management in both sales and marketing on a local, regional and international levels. International experience in rolling out concepts and products into Europe and Asia. Ability to see the entire scope of potential but focus on the day to day operations in order to meet the potential. Skilled Construction Manager & Professional Engineer experienced in Business Development, Project Management, Design Management, Planning, Construction Management & Real Estate Development including data centers, resorts, hospitality, commercial, infrastructure & Federal Government project. ​Leading Self-Reliance Services and the Perpetual Education Fund for the Church of Jesus Christ of Latter-day Saints in the Asia Area, he is responsible to assist people in becoming temporally and spiritually self-reliant focusing on Entrepreneurship, Education and Employment with the help of managers, Church leaders, Self-Reliance Specialists and volunteers in each of the countries. Chad has started and managed businesses in the China, Hong Kong and Taiwan for over 20 years, specializing in printing, manufacturing, international trade, product development, and education. He has served as a mentor for BYUMS, Utah Valley University and Self-Reliance Services. He enjoys seeing people succeed, and wishes to help them attain their goals. Chad is happily married to May, and they have 2 children. He served as Director of Employment for BYU Management Society Taiwan Chapter for two years, and is presently serving as the Self-Reliance Liaison for BYU Management Society – Asia Region. ​Thomas Jeng is an Executive Advisor with CEB, working with commercial banking and wealth management executives to develop strategies for and execute on their most important priorities. His focus areas include client experience, talent management, market segmentation, and sales productivity. A dynamic strategy consulting professional with broad experience in international business and policy analysis. Significant exposure to a range of private sector and government organizations. Proven success in analytical and client-facing roles. Diversified skillset includes client service, business development, and qualitative and quantitative research. Excellent oral and written communication abilities, with native-level fluency in Mandarin Chinese. Strong interest in the intersection of business and government, especially at the international level. Previously, Thomas was a Senior Analyst, advising the Heads of Operations at financial institutions in North America and throughout the world. Thomas joined CEB in 2014 after leading business development at Garten Rothkopf and working as a consultant at the Boston Consulting Group (BCG). Thomas holds a Bachelor’s of Science in International Politics from Georgetown University, where he graduated with honors. ​Philip graduated from National Taiwan University and holds a master degree in Organizational Behavior from BYU. His career as a Human Resources Executive included work for several local and international companies including RCA, Cyanamid Taiwan, Warner Lambert, Citibank and DFS (Duty Free Stores). In 2003 he left ABIT to do consulting. Prior to his retirement in 2010 he worked for 4 years as General Manager of a company in Beijing, China. He has served as President of the Taipei Temple, an Area Seventy, Stake President, as well as many other church callings. 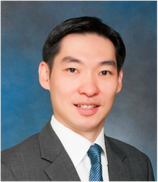 ​Christian Hsieh is an Executive Director at J.P. Morgan Private Bank in Asia. Based in Singapore, he and his team of advisors are responsible for delivering asset management services and investment solutions to institutional and private clients in Southeast Asia. Christian has over 8 years of experience in financial services. Prior to his banking career, he managed consumer product design and development projects for international trading companies in China and the U.S. He has extensive experience advising and working with entrepreneurs across startups, small-medium enterprises, large corporations, and public institutions. Christian holds a Bachelor of Science degree from Brigham Young University-Hawaii, and an MBA degree from Brigham Young University. April graduated from BYU Provo in Dec 2012 in accounting which is ranked top 3 in the US. During that time, she was also elected to study abroad at the University of Cambridge for a semester. 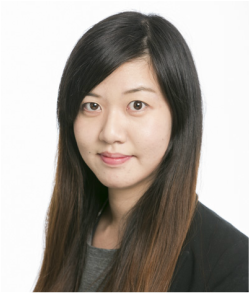 ​After graduation, she started off her career in Hong Kong with Ernst & Young (Transaction Advisory) in 2013, then moved to Macquarie’s equity research team. Recently, she made her transition to BlackRock, as an Investment analyst at the world’s largest asset company, responsible for managing its AsiaPac’s real estate investments. April is currently a CPA holder. ​She joined the BYUMS HK committee in 2014, and is always excited about exploring ways to help her fellows. At leisure, she likes traveling alone, where she can slow down her pace and observe local cultures. As a Relationships Manager with Alumni & Career Services at Brigham Young University–Hawaii, Geoff helps students and employers connect with each other for great opportunities. With a global reach focused on the Asia-Pacific region, he works to help BYU–Hawaii students move from career exploration to active job seeking, and from their roles as new graduates to engaged alumni mentoring the next generation. This greatly benefits employers who are seeking to recruit dedicated, trustworthily, culturally aware, multilingual young talent. Geoff was born in Provo, Utah, as a “BYU baby,” grew up mostly in California, and has lived in various locations in the U.S. and Asia, including New York, Utah, Texas, Hawaii, Japan, and China. After serving for ten years in the U.S. Air Force as a Chinese Linguist, Geoff taught English full-time in China before returning to California to earn his Master of Arts in Organizational Leadership. In addition to his full-time work, Geoff also enjoys artwork, including photography and graphic design; languages and culture; and music. His wife, Daisy, grew up in Hebei, China, and is currently studying Business Management (Supply Chain Track) and Hospitality & Tourism Management as a returning student at BYU–Hawaii. They have one son and another child on the way, in addition to Geoff’s three older children. 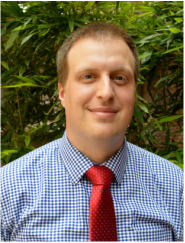 Andrew Lowman has worked at international and American schools in Asia for the past decade advising high schools students on their post-secondary choices. A 2005 graduate of BYU with a degree in History and a minor in Asian Studies, Andrew grew up internationally himself in Jakarta, Indonesia. 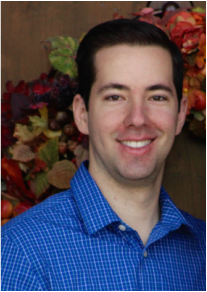 ​Andrew is an active member of various professional organizations and regularly presents about topics relating to admissions and counseling. Adiyabold Namkhai is a social entrepreneur and active community service volunteer. Educated in tourism and hospitality in Ulaanbaatar, Mongolia, he went on to found his own travel company, “New Milestone Tours”, in 2004. Growing up during the Soviet era regime meant he was unable to pursue his interest in English or his preferred majors at school. However, following the government's democratic reformation in the 1990’s, Adiyabold pursued his goal to learn English independently and expanded his knowledge and network internationally. Adiyabold has volunteered in leadership positions for the Mongolian National Scout Organization for the past 10 years, serving as International Commissioner, District Commissioner, Program Commissioner and Board Member. He served in full-time mission in the Russia Samara Mission from 1998-2000, and has since served as a Branch President, District President and Counsellor in a Stake Presidency. 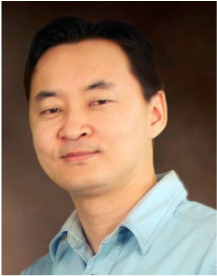 He is also the Past President and Executive Committee member of the BYUMS Mongolia Chapter. While president, he initiated the LDS Business Plan Competition in 2007, and has since supported and organized it every year. His intention is to grow his own small business while supporting others to do the same. Adiyabold speaks English, Russian and Mongolian. He is married and has 4 children. Nels leads global strategic and operational initiatives with a specific focus on building customer-centric services via integrated technology, shared operations and personalized experiences to grow loyalty in a digital savvy, social empowered world. A graduate of Brigham Young University, Nels has over 15 years of experience in operations and business transformation in the consumer electronics industry. A National Taiwan Scholarship recipient, Nels obtained his MBA from National Chengchi University in Taipei, Taiwan. During this time, Nels served in the student council presidency, organized the university's graduate business conference, interned at CES in Las Vegas, and placed in both Capsim Global Business and CEIBS International Case competitions. Nels credits working on team-oriented projects with people from all over the world as the hands-on experience he needed to succeed. Nels loves living and working in Taiwan where he finds the “fusion of intellectual ideas” and “diversity of lifestyle” fascinating. He was selected to appear in a television commercial which he considered “an honor.” He feels that the ad itself represents a “celebration of the innovation and ingenuity of the people of Taiwan” and ranks his decision to move to Taiwan as among the most rewarding of his life. Damion Potter became Deputy Head of the UK representative office in Taipei in July 2013. Damion leads the UK prosperity agenda (trade, investment, economic, science, climate and communications), corporate issues (change management, staff management, finances) and covers politics. He also works as Director, UK Trade and Investment and runs the Post when the head is absent. Damion was Director UK Trade and Investment, Russia from Nov 2009 to July 2013. In this role he met and briefed UK businesses - from blue chip companies to SMEs, working with local partners to promote and support UK commercial interests in Russia. Damion managed a team of over 35 staff in Russia, and advised commercial teams in UK embassies across the former Soviet Union. From March 2007 to November 2009 Damion worked as Communications Director for ESPN's businesses in Europe, the Middle East, Africa, Asia and the Pacific Rim. Damion led the communications strategy for the launch of ESPN's new live channel in the UK in 2009 (which included the English and Scottish Premier Leagues); ESPN's acquisitions of the Cricinfo, Scrum and Racing-live.com companies; and he oversaw the PR of all ESPN channels, brands and businesses. Before joining the private sector, Damion spent seven years as a diplomat in the Foreign and Commonwealth Office. He served as the head of media and public relations for the British Embassy in Stockholm (2002-2005); was the Foreign Office press officer on European issues based in London (2001); and was a public relations expert for the European Union Directorate (2000). He also headed the FCO's Russia policy team from January 2006 to early 2007, briefing the offices of the Prime Minister and Foreign Secretary on key matters related to Russia. Damion has a degree in French and History and a Masters in Twentieth Century History from the University of Warwick. He is fluent in French and Swedish, speaks excellent Russian and has conversational Chinese, German and Spanish. ​Ubiquiti Networks is connecting more people to the Internet through low cost, high tech products, so underserved communities, businesses and lives can have a greater opportunity for growth and development. Together with regional managers around the world, Chris and his team coordinate distributor sales and marketing activities. Chris completed his Brigham Young University degree in Spanish with a minor in Business Management. During his time at BYU he was a research assistant for their Public Health department, served on the Humanities College Student Council, taught at the Missionary Training Center, started a distribution business for Latin America, and volunteered as a certified Emergency Medical Technician (EMT) for BYU, responding to and treating medical emergencies on-campus. Each of these experiences has helped in his current role to gather information, assess the health of a company and potential remedies, then council with his team and across company teams to work on solutions for a better customer experience. Chris and his wife Jennifer, recently welcomed a baby boy into their home last November, which is proving to be the most rewarding. After living in the States for 10 years, Annie suffered from some kind of “reverse cultural shock” when she returned home to Hong Kong in 2012. Although the adjustment hasn’t been easy, what remains the same is her strong interests in writing, languages, and cultures. No matter where she is, she strives to serve her community and loves interacting with people from different backgrounds. During those 10 years in the States, Annie earned a degree in public relations from Brigham Young University, served a mission in San Diego, and worked as a communication specialist for several high profile transportation projects in Utah, including the I-15 CORE project. These experiences helped her build a strong foundation in event planning, crisis management and community relations. Johnathon has enjoyed a successful career in marketing, advertising and sales. Following a successful career in communications, he worked for over a decade coordinating the Performance Arts Tour Groups at BYU, marketing Broadway-style theater shows worldwide. This included managing the marketing, sales, logistics, personnel, and budgeting for 90 to 100 separate events worldwide at any given time. Jonathon enjoys serving on the Global Steering Committee of the BYU Management Society and works to support all international chapters.